St James Park, not a stadium to bring much joy for Aston Villa in recent years, but if there’s a good time for a change in fortune, right about now, will do! Newcastle are in decline, but has Lambert wound up and potentially galvanised the Geordie masses with his comments? “We are going to go there on the front foot, because if we do then their crowd might become edgy. “Any club that has a big fan base, especially at home they expect to win. When things are going against you then you can hear the grumblings. And sometimes, as a player, it can get to you. ““I’m surprised by that, because I think he’s under-estimated our fans. He might regret saying that after the game. A hat-trick from Andy Carroll contributed to an unfortunate thrashing, suffered by Kevin McDonald during this second game of the 2010/11 season. In the last five League meetings at Newcastle, Villa haven’t won once. Loïc Rémy – Villa normally get dominated in midfield against Newcastle. If it happens again without Cabaye, then whether Villa stay in the game to take advantage of the counter, will depend on how ruthless Remy is on the day. There has been a lot of talk about Newcastle’s troubled home form (sound familiar? ), but how many times have we headed into a match with confidence only to see opponents get back to winning ways? The tricky part is that Newcastle are desperate to win. Unbeaten in their last five against us, it seems the odds are in their favour – the last time we won there was in 2005. With Remy back on the scene for Newcastle it could, unfortunately for Villa, be the boost they needed. It’s always disappointing to settle for a draw, but given recent records a point wouldn’t be the worst result on Sunday. This will require a great amount of focus in the defensive department, something we’ve lacked recently. It would also be nice to see a quick start from Villa to see if we really can agitate the Newcastle crowd, who might start getting on the back of their team, a team struggling to score goals at home (they’re also the team with the fewest goal-scorers in the league). Lets hope we can benefit from the fact that Cabaye is no longer a Newcastle player. Why Villa have got this game in the bag. While bad form can be misleading, Villa are better away from home and it would be nice to win there for the first time in nine years. Vlaar will be in the line-up and the likelihood of Weimann starting could bode well for our counter-attacking threat. The Newcastle defence has shipped plenty of goals recently, and only Fulham have conceded more. Chances will be made. 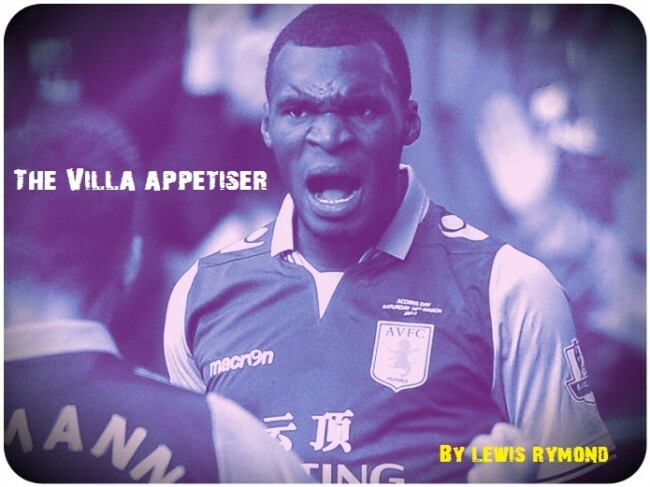 With Benteke back in form, there’s no reason why he can’t get a goal or two (for his third consecutive match against Newcastle) and help Villa get a good result. UTV.